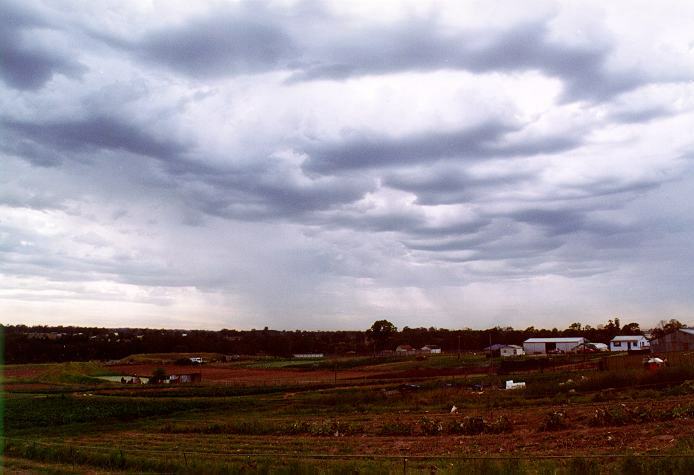 The techniques used to observe clouds are just as appropriate in observing precipitation. 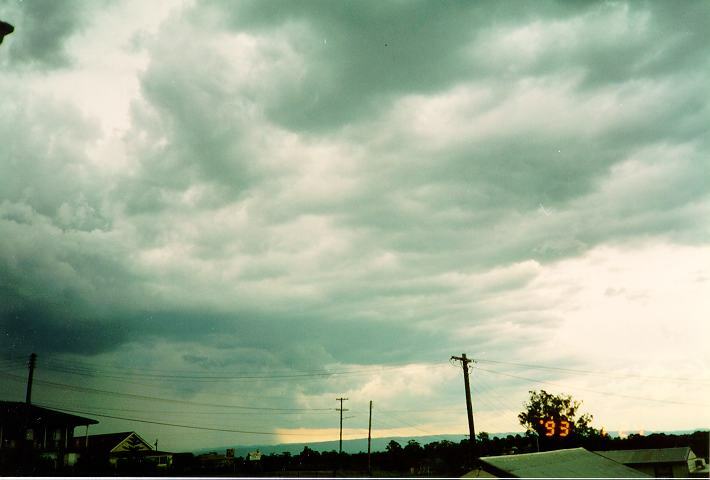 In most cases, it is very easy to observe precipitation falling out of a cloud. 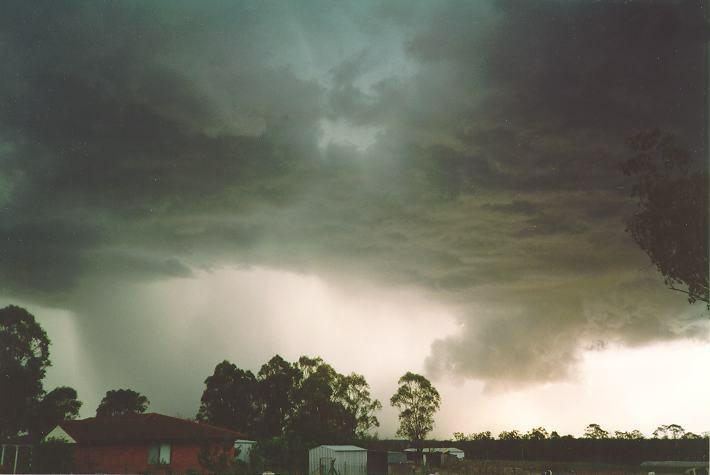 Precipitation falls mostly from the base of clouds when saturation occurs within the cloud and the currents of air cannot support the rain drops. Therefore, precipitation must be observed from around the base of the cloud and reaching the ground in a continuous vertical curtain. It will normally appear in the form of a uniform, greyish shade or tinge. At this stage, we will refer to rainfall as the major form of precipitation. The motion of the rain cascade will obviously be the same as the cloud producing it. However, do not get confused when several clouds are present. 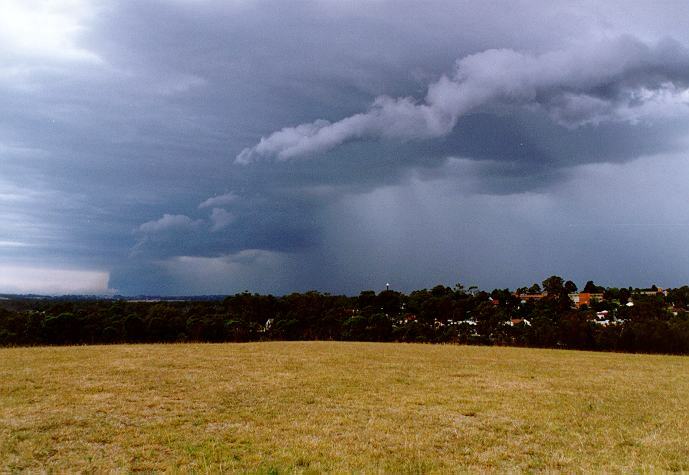 Usually, only one of the cloud types are responsible for the rain. This situation will be discussed later with the more advanced observational techniques. 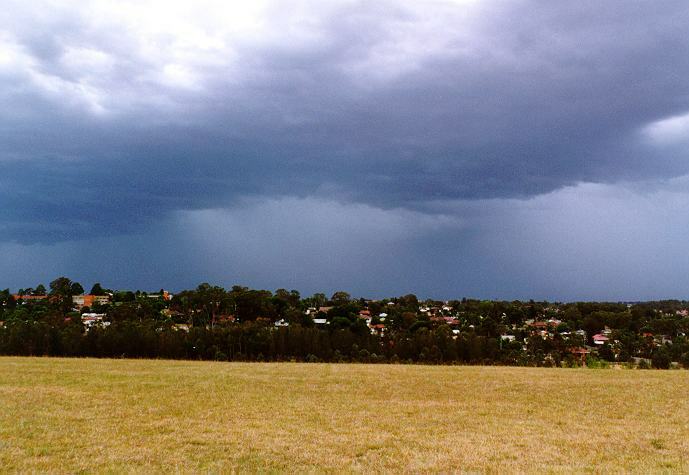 Depending on the conditions within the cloud, the intensity and duration of the rainfall varies. 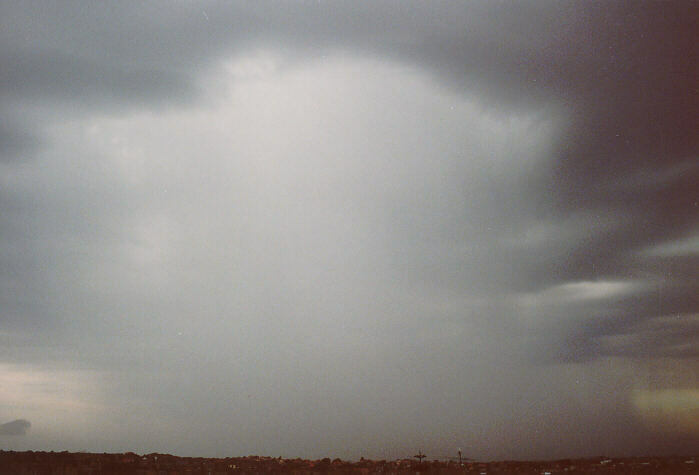 The heavier rainfall consists of larger droplets. This means that the cascade of rainfall allows less light to pass through making it look a darker shade of grey as compared to light rain or drizzle. Another important point to consider is the depth of this cascade. Does it extend to a thickness of many kilometres or is it just a thin band? The more the depth of the bands of rain (precipitation), the darker it should look because it will allow less background light to pass through. Contrast between the adjacent surroundings will be pronounced. Where there are no areas of precipitation, more clouds will be visible in the background. Let us assume that an approaching rain band consists of uniform rainfall (equal rate of rainfall). If you observe such a rain band at different angles, in other words, you observe several areas almost simultaneously, you will find areas to the left and right of your perpendicular line of sight may appear darker. This occurs because diagonally there is more depth of rainfall, and hence less light penetrates. 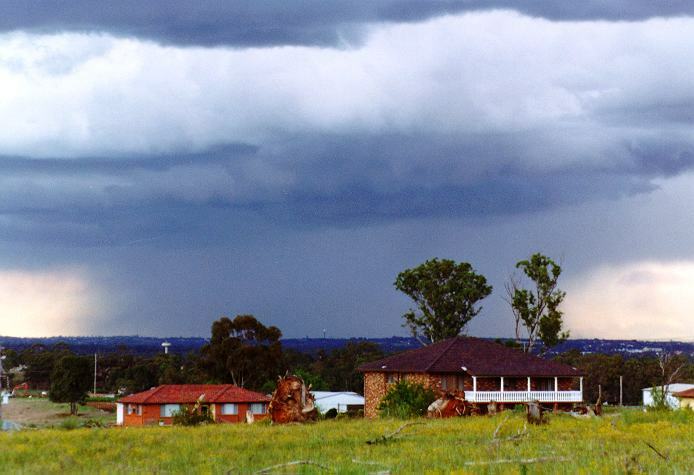 Rain bands do not necessarily approach perpendicular to your line of sight. Quite often they approach at an angle, with nearby areas receiving the first rain. Therefore, it is essential to observe the parent cloud producing the rain to determine if the rain is approaching you and which part. With practice in the techniques discussed in this section, you will be able to predict the intensity and extent of the approaching rainfall.